Thanks for that. I’m off to poke out my mind’s eye. Just made the same point on Wings. Johann or BT won in as much as they made it impossible for anyone to make any sense of it and as we know the more people engage/learn the Yes point of view the more they move to Independence. Yes, not informative, no regulation from chair, or whatever it is they call Rhona. Disappointing, opportunity missed. The two commentators said as much, but too diplomatically. Yes, the two commentators said as much, but it is their devised format. What an embarrassing shambles. Out of control, STV need to change the format. Smell of McTernan rules – Don’t debate, make a helluva noise, then get your arse outa there Jo! We’re only learning here, still time to get it right. Watch the Yes meeting from Shettleston instead. C’mon. Technology, mute the opponent mike when her opposite is speaking if you are serious about having a debate. It was just a showbiz event and Nicola won the visual contest. Can’t help but agree Derek. Tall tales told by Johann, full of sound and fury, signifying nothing. Red card for ref Rona Dougall. Although you at least have the grace to acknowledge your shame, another red card to you, too, for that sly putdown of women. These debates are a waste of time and because they are allowed to descend into rammys it suits No. If they are going to have these they must be properly refereed. I know what you’re getting at with “Lamont Wins” – but when tonight’s rammy has died down and the Kelpie stairwash has dried in, anybody who viewed the programme will know that, without any doubt, Nicola Sturgeon was the one cleaning the stairs and Lamont was the mop. Not sure I would use the word “wins” Derek more like twist and shout. Yep,and Scottish politics loses as a result. Don’t agree Derek. Nicola won no question about it. She answered the questions as she always does – they might not be to No’s liking but she answers(!) – something which these labour and lib politicians don’t understand. Most people by now are familiar with lamont’s oratory skills (if one can call them that) – she’s pretty rubbish, just like the deputy Anas. Her idea of a debate is to throw insults and talk over others. Nicola had no choice (she is a great speaker – see her recent talk at UCL on youtube) but to respond as she did because otherwise she would probably not get a word in edgewise. It is scary that labour can even put this woman lamont in a senior position let alone as a leader! By the way I am not a’cybernat (whatever that is) but an interested observer in England. – and the ludicrous we are not genetically programmed to make political decisions in Scotland. However, the Sarwar-style spoiling, and the refusal to engage in debate were the main aims of the exercise. YES will (have to) learn from this: never go wrestling with a pig. You both get covered in muck, and the pig likes it. Just returned from an educated , dignified and well presented Book evening with Sally Magnusson promoting her book Where Memoris Go describing the trials and tribulations of her mother’s descent into Dementia . A delicate subject at the best of times but gently handled with humour and pathos in equal measure by Sally . Then returning home and ,,after making some technical changes to digital boxes in order to receive the STV encounter between The Slugger from Govan and Surgical Sturgeon , I settled down to what should have between an interesting and informative debate between the pre-eminent female politicians involved in the Referendum Debate . I shouldn’t have bothered . A complete and utter car crash of television with extremely poor moderation provided by STV . Neither politician emerged from this encounter with any plaudits as it quickly descended into a shouting match and in the end was meaningless . zilch , nada , nothing from the slugfest between Lamont and Sturgeon and are must remain uninformed after this cat fight . An uninformed voter is a no voter or at the very least a non voter with either position supporting the Better Together side . Surely STV we can do better than what passed as television tonight . Totally agree with Alasdairb, what an embarrassment! Sturgeon asks a question and then immediately heckles Lamont and vice versa. No one won. STV should be ashamed of such an amateurish offering. No not a strong show from Nicola and yes but No wins by spoiling tactics. NS needs to learn when opposition in a hole chuck them a shovel not more dirt to fill it. A small win for YES in that the shipyards and the nukes were pressed home time and again but not a big win. Aye, this was a car crash of an event. I was emptying the dishwasher and hanging up the washing with the “debate” on in the background, it was terrible to listen to. I could hardly make out a thing either was saying. I like to think I’ve got an ear for who’s making the best fist of a rammy like this and persevere until the bitter end, but this was hard going. My dad (70’s, retired, good pension etc), who’s recently been convinced about voting yes, would’ve just turned off after twenty minutes and left wondering what the hell he’s letting himself in for. The STV chair/moderator or whatever she was called did a rubbish job at controlling this. Scottish politics was made to look like a bit of a basket case to anyone looking in. Very, very bad show indeed. Easy Derek. Any rational observer would note that Lamont chose the noisy foils and Sturgeon had no choice but to parry and stab. Sturgeon tried to answer questions, Lamont did not. Sturgeon was logical, Lamont was rambling. Damage limitation tactics. If Lamont had tried to debate, without any positives to offer, damage to ‘no’ side would have been more substantial. However, the audience will have seen through that. That, and the insult to our genetic failures, are vote winners for ‘yes’. May I suggest that you give us a good article about our alleged genetic deficiencies when addressing political decisions. Cheers. One solid result from what appears to have been car crash television. Lamont appears to have single handedly destroyed any chance of ever becoming Scotland’s FM. Picture if you will Ms Lamont delivering the Hugo Young lecture. It’s not clear how NS (or indeed anyone) could have a reasoned debate with the unreasonable Rosa Klebb. Looked to me like STV wanted it this way. Just another example of bias. You could see that Rhona was getting instructions through her earpiece but nothing was done. And there was me telling folk, watch this debate! I got a few disappointed texts last night. The format was rdiculous, letting them continually speak over each other – it should have been: here’s topic no1, you speak for 2 mins, then you respond. No interuppting mind! Here’s topic no2, now you speak for 2 mins, then you speak for 2 mins, etc. In a sensibly structured and managed debate, everyone knows Sturgeon would destroy Lamont. This wasn’t a sensibly structured and managed debate. Pretty amateurish stuff from STV. Thanks very much indeed, Chris. I can’t believe I missed that pronouncement! Surely, through disappointment after the big build-up, I’d fallen asleep at that point. Bet Ms Lamont is cursing YouTube this morning. I’m astounded that Lamont thinks we’re “not genetically programmed” in Scotland to make political decisions. I thought all humans were more or less programmed the same, and I’m surprised to hear the Lamont Hypothesis spoken out loud. This seems to be on a par with “something for nothing” and “wee things”. I have a PhD in Molecular Gentics, and work in science and I have to say Lamont’s statement about “not genetically programmed” is so wrong on many levels as it is stupid. On a moral/ society level, it harks back to the era of eugenics where people were labelled sub-human & it was considered undesirable for them to reproduce. Just ask the Germans how they feel about the experience of the Nazi era. With JoLa saying “we” it indicates that she herself believes she is also not worthy. If this is the mental state of the labour party, they are a truly dangerous bunch. Third, She is a numpty. She will never be first minister of Scotland after this. Some kind poster on youtube has already done the job. Quote of the night, and what people will remember most, this remark by Johann Lamont, “we are not genetically programmed to make political decisions in Scotland”. Should we laugh, should we hang our heads in embarrassment, should we just get angry? Probably all three. You could argue this was an off-the-cuff comment, but it revealed that in the deeper recesses of Labour’s thinking there is an unshakable and fundamental belief that Scots as a nation are a worthless people. It would appear that many are shocked at the lows that J-Low can sink to and that she’s a steamie inhabitant in a trouser suit… those of us who can bear to watch FMQs know this already and know that this is not anywhere near the depths to which J-Low can plunge. Derek – what does one click on to gat back to the home page? My God; If she thinks that, why is she leading the Labour Party at Holyrood? Is that an admission that she’s unfit to be a politician? That debate last night was most unedifying. I do not think Rona Dougal is the right person to mediate these debates. She had absolutely no control whatsoever. Politicians nowadays have lost touch with the public. We want answers – they prefer to evade the questions – In fact they appear to pride themselves in evading questions. They seem too overly focussed on scoring points off each other than on honestly debating issues that matter to us. Are they afraid to give straight answers in case some-one throws it in their face ten years hence? They need to start being forthright and give honest answers. They need to appreciate that times change, circumstances change, and we’ll understand and appreciate that they can change their mind to suit different circumstances in the future. What we don’t appreciate is evasiveness and prevarication. The longest discourse seemed to be when Rhona seemed to do Johanna’s job for her by asking all the questions of Nicola Sturgeon herself. Poor control of the debate which I had been looking forward to. Should have been a walkover but the shoutyness just made it all primary school debating class. if you truly are undecided you didn’t miss anything fundamental. However I’ve yet to see a Better together polititian forward a good reason why staying together is going to be in any way better and the Kirk intervention that people are more interested in things like social justice and real issues beyond the political discourse mean that people should vote yes because there is little positive in the No campaign at any level. It’s as doomed as Danny Alexander’s career after next year. The Kirk seems to be unaware of RIC’ s place in the campaign, social justice is their main plank. It still is after their interventions in deprived areas of Glasgow were rubbished by Better Together as, I seem to remember, was it exploitation of the poor? It looks as if all Labour participants will adopt the Sarwar technique-and unfortunately it is successful in destroying debate due to poor moderation. Sturgeon won on points -but it could have been a knockout with better moderation. I have to hope that the inevitable Salmond/Darling debates will be better managed. One aspect of the STV debates approach is vital (which is why I doubt BBC will use it) and that is the interrogation of each other by the debaters which will definitely favour the Yes campaign. Wings fundraiser on the go. Every penny counts. Actually I believe this will be a win for Yes, and the reason for that is the stupidity of Lamont in saying we are not genetically programmed to make political decisions in Scotland. The debate may have been a mess, but that single statement in a video clip is going to be shared around the country on social media and the internet. Over the time, that clip will be a winner for Yes and will constantly be referred to as what Labour thinks of the voters. Yes wins because Nicola did not make a stupid mistake that will live forever on the internet whilst Johan Lamont did. First of all thanks to “thepnr” for that link to the Shettleston meeting – bloody brilliant. Here it is again in case you missed it. I really liked the way they could continue to talk while drinking water as the sound and vision ran out of synch. We’ll be dae’n better than come the 19th September – we’ll be walking on water. The No campaign as we well know has built its case around Project Fear and utilised the full power of the state run media to get its “terrifying” message over. That is their only possible way of convincing Scots to vote “No”. If that fails perhaps they will need to put the tanks back on George Square to convince us. Not only does Project Fear flood the country with propaganda, as you would expect from any totalitarian regime, but they also do their best to silence dissident voices: strangle the true facts which do not suit them (remember McCrone etc) and seek to discredit anyone who seeks to point out these facts by attacking the credibility of the messenger (witness the character assassination of Alex Salmond for example). The discrediting of the truth in Project Fear has been Johann Lamont’s job, mainly. Though plenty of others are at the same job, she carries it to her own unique levels of hysterical scream and shout. She does not need to have any ideas. All she needs to do is continually shriek inanities in order to give us our very own banshee in Holyrood and discredit the place. When she does try to think for herself its jist “wee things” that come oot. She imagines (if she actually has any imagination) that this is the best way to discredit the Scottish Government as such. Do you think however that she is bright enough to know that she is doing her very best to discredit the whole institution of the Scottish Parliament and to make ordinary Scots feel that their parliament is just banshees-ville, so that they will not take any interest in the most important decision Scotland has made in 300 years. Personally I really doubt that she actually has the brains to know what she is doing. She just can’t help herself. So given that, did the Labour party put her there in the full knowledge of what she is like and they have cynically used one of life’s unfortunates to attack any sign of growing democracy in Scotland. Remember Ian Gray? So the Labour had a dry run at this in the recent past. But Johann surpasses all that and simply conveys to the rest of the UK and the rest of the world that we are actually “too stupid” to govern ourselves as Project Fear wants us to believe. In which case you’re right, and Lamont won. She won by adopting the spoiling tactics that have become the weapon of choice of Labour. The referee was nowhere to be seen and Lamont was allowed to freely swing her wrecking ball. Labour are not concerned at the affront to democracy as long as enough people are turned off. That in itself should ring alarm bells with undecideds. Would she have done so if there had been a studio audience of undecided voters sitting in front of her? Personally I don’t think so. This format is a failure, unless it’s specifically been set up to ensure the positive case for independence is drowned out. If Scotland Today is interested in ensuring the debate is heard, they must listen to the disenfranchised viewers who are asking that a format that allows for civil debate is adopted. Spot on Derek. it was an unedifying and unhelpful. How many undedicideds will have decided not to bother voting after watching this “debate”? It only lacked Jerry Springer and a couple of security guards. The “i’ll jump down your throat and stop you from speaking” style of debate is counter-productive and unnecessary when arguing the case for Yes. Here’s another great wee link for folk that huvnae seen it. Short and sweet this time. Bloody awful so it was, and it was all the fault of that “chair person” Rona ——–?,had NO grip of the situation , if there is to be another, it has to be “chaired ” by Bernard Ponsonby he stands no nonsense, and has the air of authority which commands respect, Rona and John MacKay (? ), just do not have it. BT and SLAB cannot offer one single proposal for Scotland in the wake of a NO result. They have nothing. They are not even authorised to offer us anything. Lamont’s brief last night was to create uncertainty about the pound and EU membership. BT are tying themselves in knots trying to get some sort of Plan B currency answer (which won’t be forthcoming). Barroso, Barroso, Barroso. The NO position is; Independence = fear, uncertainty, Alex Salmond bad, SNP bad, no pension, no oil, no EU and England won’t bail you out. YES have been employing a similar tactic (to a degree). Independence = more Westminster troughers, Trident, eternal unelected Tory governments stealing our oil. All negative. But true. Martin Luther King couldn’t put across a positive message in a badly managed TV debate where Johann Lamont is screeching “Naw, naw, EU, pound, cloud cuckoo land, Ed Milliband”. The debate was shite. It converted nobody but we shouldn’t despair. There’s still plenty of time to get the good stuff across. Better childcare, health, education, skills, employment, public services. Don’t Knows (IMHO) are just waiting to be converted to Yes. They’re apprehensive and need gentle persuasion, not screeching fishwives at 10.30pm on a Tuesday night. Tell them something positive. Smile, engage, put the kettle on. Scotland’s Parliament has been diverging from London’s greed-is-good / deserving poor model and that will continue after independence. It’s not scary, it’s really bloody great. We’re already moving away from rUK and the sky hasn’t fallen in. A few months from now SLAB will have had a no-confidence vote in Lamont, YES will continue to gain ground in the polls… and Better Together still won’t have a single argument that doesn’t boil down to ‘Scotland is too wee, too poor, genetically incapable. I absolutely agree. It’s very sad that the female vote is known to be important and this is the kind of behaviour we get from two senior female politicians. The debate needs to stop being adversarial. This kind of behaviour turns off loads of people and leads to disenchantment with the political system. When Norway voted for Independence back in 1906, Norwegian women didn’t have the vote but they supported it in overwhelming numbers. When they got the vote, they repeated the support in overwhelming numbers. They didn’t have the internet to help them with getting information! They wanted their country to be Independent of Sweden. One of the groups saying they are more likely to vote No in the Scottish Referendum are women, though they say they want more information. It would look like the Don’t knows are these women. I guess the Norwegian women were made of sterner stuff, but it’s a bit depressing if it is true, that the don’t knows would be put off by one TV debate. It doesn’t paint a very good picture of their ability to engage. Scots are “not genetically programmed” to make political decisions? Derek didn’t mention that the comment about our genetic inferiority from The Torygraph yesterday was made by a Labour politician. Or have they just adopted it quickly? I think, in her garbled way, she was trying to say we might vote for a right wing party. The fact we don’t, and haven’t for a generation, makes her point nonsense anyway. However, I do agree that the Moderator, appalling on the night of the Sarwar debate, was invisible. The whole thing was appalling. The trouble is, people will now be saying “They’re as bad as each other”, and Lamont will get away with it. 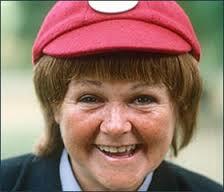 It’s just dawned on me that when Lamont said “we … in Scotland”, she was referring to the Labour Party. It’s still not clear if she was referring to her colleagues in Holyrood but to her Westminster bosses such as Jimmy Hood MP, Ian Davidson MP and the other household names. lamont says she wants rid of trident but JackIe Baillie goes on about job losses if that were to happen the yes campaign should use that as wedge to divide labour . I have often wondered how this woman came to be the leader of the Labour Party (Scottish Branch).Every time I see her in a discussion, I cringe at the damage she does to the reputation of Holyrood. There are many better in the party so why is she the face of Labour in Scotland. Watching the debate last night and wondering if it could get any worse than this, it occurred to me that perhaps it was a deliberate tactic by her fellow members to put up an expendable candidate. After Independence, the more able candidates can then have a free run at the position with a clean slate and untainted by the total failure of the party in Scotland under her supervision. It does not look as if she was elected to the position on ability so I can think of no reason other than being set up to be the fall guy. Debater of the Year? Never! Last night’s “debate” was a tactical victory for Lamont, and has her poisonous “adviser” Paul Sinclair’s paw-marks all over it. This was a damage limitation exercise for New Labour in Scotland, especially so, for their inept “leader” – “Bleachy-Heid” Lamont – who had clearly been instructed in the black-art of the spoiler attack, i.e. speak over your opponent at every and any opportunity while refusing to give a clear answer to any direct question you yourself are asked – given you have nothing positive to say! Nicola was inevitably forced into using the same tactic to ensure this appalling “Labour” apologist for the Tory government did not gain any political advantage.Thought Nicola laid a few telling blows with the issue of shipyard closures and the prospect of another Tory Government after the next General Election should Scotland vote No. However, the blame for this “heated discussion” descending into a “stairhead-rammy” lies solely with Rona Dougal – I agree with a previous poster: get Bernard Ponsonby in to adjudicate! Why on earth did STV not scrap this format after the Sarwar performance? In what way is it instructive or informative – or even just a debate? I wasn’t altogether happy when Nicola roasted Carmichael, because the format is so bad: he had no more ammunition than Sarwar and Lamont but had more integrity than to just keep on blurting out words, no matter how irrelevant. The production team at STV must be very inexperienced – has any of them ever actually seen a debate? Thank you, thank you, thank you to the person who posted the YouTube link of Lamont’s latest gaff. It beats the others by a mile. I have posted link on my Facebook and hopefully it will go viral as it is just too stunning to miss. She really sums up what Scottish Labour really think of their own country. Hang your head in shame Lamont. Also, she is totally crap at FMQs, no wonder Alec has a field day with her. I think to expect a reasoned debate here was naive. It was billed and promoted like a boxing match. A showdown. Sturgeon with 3 fights and undefeated. The ref didnae jump in, cos I think they fancied folk being put off. What is STVs position on the referendum? Before it happened, I said they should have it with a bit of theatre, ie they could be hanging out tenement windows, and the loser could shout, “jist wait til ma man gets hame!” Lamont was pathetic. Sturgeon tried valiantly but it was like a wolf trying to extricate a giant tortoise from it’s shell. Sturgeon did stick to policies, Lamont said naw. When Sturgeon asked Lamont about her parties plan (she’s nae party planner!) she said ye’ll have to wait and see. What debate can you get from that. If you have nothing to sell, you need a good salesman. Lamont has nothing, and is nothing. There is time to devise a strategy to never allow that to happen again. I’m sure NS regretted how it turned out but time to move on. I was watching it with a DK and their opinion – NS came over as smart, intelligent and confident, JL came over like a fish wife but of course they thought overall it was very poor. Rona got the blame for not controlling it. They also thought that some folk might have felt a bit sorry for JL as she was being roundly drubbed! It was good to get an opinion from a DK as I couldn’t be objective. Rona or the producers speaking in her earpiece were to blame. They obviously thought it would be entertaining. It was meant to be a serious debate rather than entertainment. I agree the “debate” would turn off any undecided / not bothered voters which suits the NO campaign down to the ground as they don’t want rational debate when they can rely on the UK right wing press like the Daily Mail to set the agenda for the BBC. A strong chairperson is required to stop panellists talking over others and in the Question Time audience format, ill informed members of the audience are invariably allowed to express numerous Unionist myths but the Yes spokesperson is not allowed to respond to each of them. Whit a bourach! Yes, Rona was poor, but probably simply following orders. Lamont was, well, her usual horrid self, throwing words out like a berserk threshing machine. Nicola fell into the thresher, so I agree with Derek that Lamont won. I think Nicola should have quickly changed tactics to accommodate the weak chairing and simply allowed Lamont to rant for as long as she liked – only entering ‘the debate’ with rapier-like precision whenever Lamont gave her an opening – of which there were lots. Maybe she would have said fewer words, but a calm demeanour would have struck a chord with many DKs especially women. The blame for this travesty lies fairly and squarely with STV. They came up with the format and put in place a presenter who had neither the wit nor strength to control proceedings. It is obvious that the SNP have been coaching their representatives in control techniques when being interviewed by broadcast media – we see the same tactics from all their reps – talking over interviewers and other guests, making sure their answers are the longest ones and repeatedly interrupting other guests to dominate the arguments and ensure their views are given the longest exposure. On the STV debates Ms Sturgeon used all these techniques successfully when dealing with Mr Moore then took the hectoring rudeness to a new level when she debated with Mr Carmichael. Ms Sturgeon’s behaviour during her debate with Mr Carmichael was quite simply the most appalling demonstration of cheap jibes, boorishness and contempt displayed on telly so far in the indy ref debate. Mr Carmichael, clearly appalled by Ms Sturgeon’s behaviour, appealed to the presenter to maintain fairness; she declined to help thus signalling to Ms Sturgeon that her behaviour would be allowed to continue unchallenged. Remember, it was the presenter’s responsibility to ensure guests behaved properly. That STV considered this behaviour to be successful merely gave the SNP the green light to continue with it. And why not? The SNP are fully entitled to use whatever tactics they see fit and if STV are too weak to stop them that’s hardly their fault. Labour were faced with the dilemma of how to counter these tactics. Stop speaking in the face of Sturgeon’s onslaught and cede the debate? Hardly. The only tactic available to them was to use the same tactics, result? Chaos. Whose fault? STV’s. Grahamski Falkirk – were you watching the same debate as me? It was Johann Lamont who spoke non stop over Nicola Sturgeon – exactly the same tactics employed by Anas Sarwar – so if anything – it’s labour tactics to interrupt and talk constantly over the other person! Not only did she talk non stop over Ms Sturgeon, but she managed to do it while actually saying nothing of any value and avoiding answering any of the questions posed! Methinks that’s because she actually has no answers! Quite ASTONISHING for the leader of a political party! !